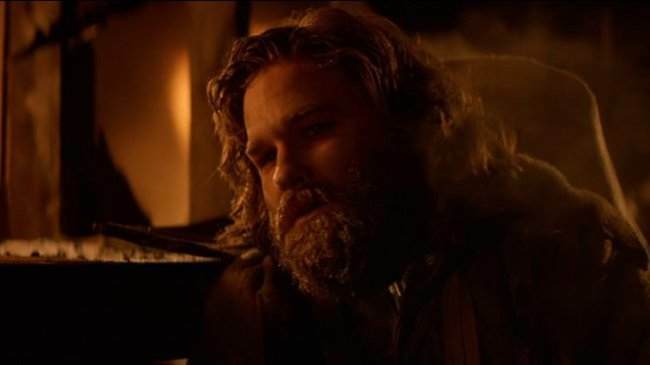 Quick Answer: The ending of John Carpenter's The Thing is one of the most controversial movie endings of all time, but while there are many fan theories about the film's nihilistic finale, the ending's ambiguity is really the whole point of the film. By keeping Childs’ true nature a secret, Carpenter creates an atmosphere of dread and unease that follows us even after we leave the theater. In a film full of chest-chomping monsters and spider-legged creatures, perhaps the creepiest moment of all is when the film finally fades, leaving MacReady, Childs, and the audience alone in the dark. Google “best ambiguous movie endings of all time,” and chances are you’ll find The Thing (1982) on every single list. 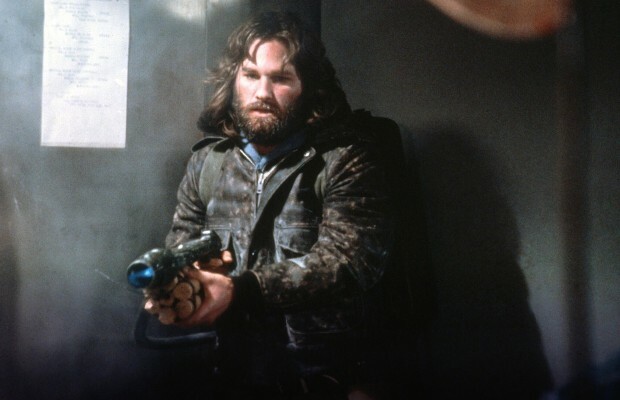 After nearly two hours of guts, gore, and paranoia, our bearded hero, R.J. MacReady (Kurt Russell) finally takes on the titular shapeshifter, mano a mano…well, more like mano a explosivo. One big fireball and a zingy one-liner later, MacReady emerges victorious from the flames…and then he runs into Childs (Keith David). Outpost #31’s mechanic, Childs is one of the base’s de facto leaders and often clashes with MacReady. As the alien assimilates each member of the group, our two heroes grow increasingly suspicious of each other, constantly wondering who’s a “Thing” and who’s not. Near the end of the film, convinced they’re both human after a successful blood test, MacReady and a few survivors head out to kill the alien invader, leaving Childs to guard the base. Moments later, the group spots Childs running into a blizzard…which is a little odd. Despite his temper, Childs is a pretty intelligent guy, and not the kind of person who’d head into a snowstorm alone, especially while a murderous monster from outer space is roaming around. After Childs vanishes into the snow, the Thing (in the form of Dr. Blair) destroys the camp’s generators, cutting off the electricity in attempt to freeze itself. Once it settles down into an extremely nippy nap, the evil E.T. will simply hibernate until a human rescue mission shows up…and then make its great escape, dooming the rest of the humanity. Of course, MacReady and company have other plans. Determined to teach the creature a lesson in Antarctic etiquette, the survivors (minus Childs, of course) descend into the generator room. Unfortunately, the Thing picks off MacReady’s friends before meetings its match in Kurt Russell. Seriously, there’s nobody who can beat 1980s Kurt Russell. With the alien in ashes, MacReady sits down amidst the rubble of the ruined base, slowly but surely freezing to death. Suddenly, Childs walks out of the darkness, flamethrower in hand. When a suspicious MacReady asks why he disappeared before the big showdown, the mechanic claims he saw something in the snow and went to check it out. The two men eye each other warily, wondering if somebody is hiding an extra set of jaws underneath his jacket. Unsure, MacReady hands Childs a bottle of alcohol, and the mechanic takes a swig. That’s when Ennio Morricone’s unsettling score kicks in, and the film fades to black, leaving us to wonder what just happened. Needless to say, there’s been quite a bit of speculation about The Thing, particularly in regards to Childs’ true nature. Is he still human? Or is he now a shapeshifter? According to one theory floating around the Internet, Childs is definitely an alien because we can’t see him breathing. In the final scene, MacReady’s breath is clearly visible in the icy night air, but when we cut to Childs, we don’t see any fog at all. While that’s possible, Kristy Puchko of Cinemablend says that theory doesn’t really hold up. While it’s hard to spot, she points out if you pay close attention, you can see little puffs of breath coming from the mechanic. Of course, if the fan theory is correct and Childs really is a Thing, then perhaps this is just a mistake. After all, actor Keith David has to breathe. Or maybe this particular argument is just wrong, and carbon dioxide doesn’t play into it at all. YouTuber Rog Ager presents a slightly more interesting argument in his two-part analysis of the film’s ending. He argues there’s a major clue to Childs’ true identity, and it’s all about the film’s fashion sense. Whenever the Thing absorbs one of the Antarctic researchers, it always rips through their clothes, leaving their shirts and pants torn to pieces. How is this significant to the ending? Well, according to Ager, throughout the entire film, Childs is sporting a dark blue jacket. Only when he shows up after the climax, it appears he’s wearing a beige coat. Did the Thing tear through Childs’ clothes and don a new jacket as part of its disguise? Or is this simply a trick of the light? If you’re interested in hearing more of Ager’s thoughts on the matter, check out the videos below. Further complicating the issue are the alternate endings. According to Indiewire, the film’s editor, Todd Ramsay, convinced Carpenter to film an upbeat ending just in case Universal Studios refused to go with the director’s nihilistic approach. This second scene involved MacReady escaping the base and showing up at a hospital where a blood test proves he’s definitely not a killer creature from another galaxy. Fortunately, that scene didn’t end up in the final film, although it did appear in a TV edit, a version that Carpenter despises. Another alternate ending—which can be found on certain DVD and Blu-ray copies of the film—involves the Thing escaping into the Antarctic in the form of a dog. And according to Carpenter, there’s a third version where MacReady kills the shapeshifting antagonist, and the film fades to black before Childs even shows up. When this version failed to impress test audiences, Carpenter went back to his preferred version. Of course, since none of these alternate takes made it into the film, we can’t really consider them when interpreting the ending. They’re interesting anecdotes, but nothing more. Similarly, the film's 2011 prequel of the same name adds new plotpoints and pseudoscience to the franchise. Based on events in the prequel, we learn that the Thing can't replicate artificial elements, such as Childs' earring. If we assume this rule applies to the 1982 film, Childs cannot be a Thing. It seems we’ll never know if Childs is a Thing or not—or for that matter, MacReady—but really, it doesn’t matter. While it’s fun to discuss all the possibilities, at the end of the day, the ambiguity is the whole point. Cut through all the bloody special effects, and The Thing is a really movie that examines how people react in a paranoid world. Do they band together? Do they turn on each other? Do they form alliances with some and leave others (sometimes quite literally) out in the cold? What do you do when you can’t trust anyone? If we definitively answered the question of Childs’ identity, all that suspense would suddenly be sucked away. If Childs morphed into a hideous two-headed beast and swallowed MacReady whole, sure, we’d feel upset, but we’d also be satisfied. We’d have our clear cut answer, and we’d finally understand the mystery. But by keeping Childs’ true nature a secret, Carpenter creates an atmosphere of dread and unease that follows us even after we leave the theater (or turn off the DVD or power down the computer or whatever). In a film full of chest-chomping monsters and spider-legged creatures, perhaps the creepiest moment of all is when the film finally fades, leaving MacReady, Childs, and the audience alone in the dark.